Our last rock activity for the week involved exploring sound. I put some rocks into containers made from a variety of materials. Materials we used included metal, glass, plastic, cardboard and wood. 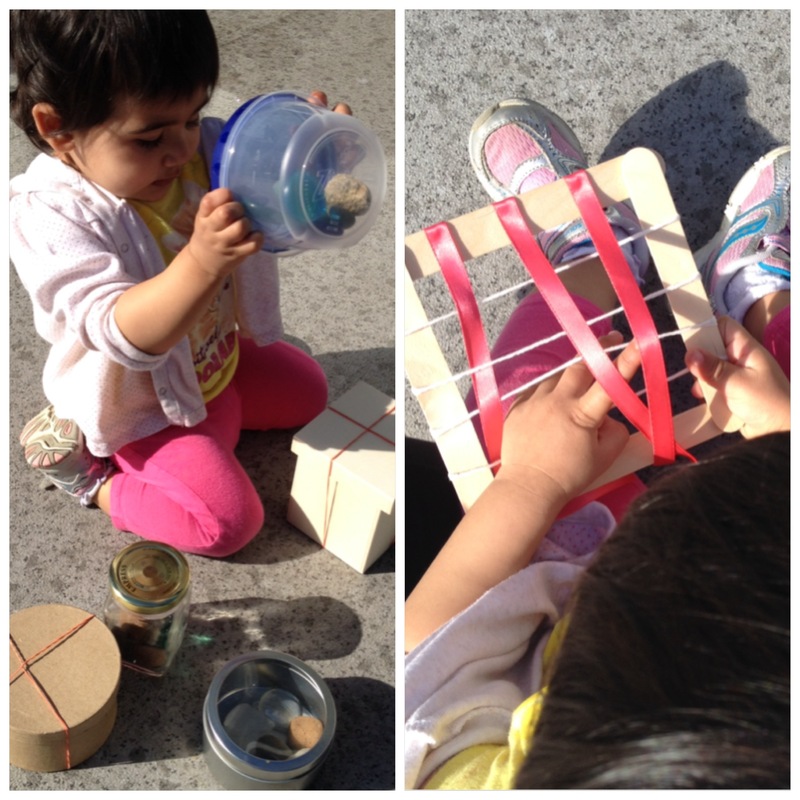 R enjoyed shaking the containers and saying, “take take” (Shake Shake). I tried weaving with R. I made a loom out of four Popsicle sticks glued into a square with four pieces of twine glued on. I glued one end of three ribbons on one Popsicle stick and let her weave the ribbons through the string. This was definitely a tough activity for her, but will be one we try again when she is more developmentally ready for it!